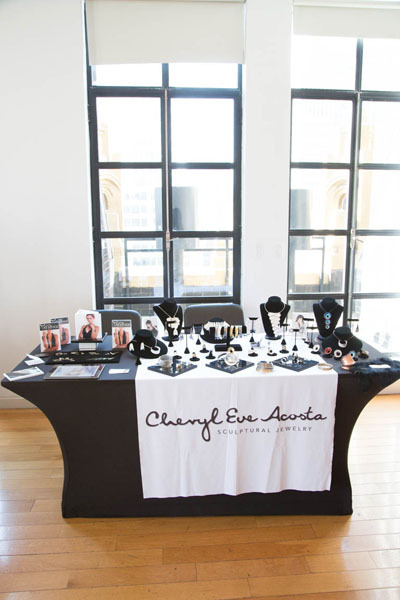 The Nolcha Shows Fashion Media Lounge, which was held at the Bryant Park Hotel Terrace Loft, previewed Spring/Summer 2018 collections from 8 independent accessories & beauty brands ranging from scarves to jewelry, handbags to shoes, and lipstick to eye cream, including several ethical and sustainable brands. This season welcomed returning beauty brand ECRU New York (hair products & cosmetics including lipstick & mascara), and debuting brands Neubyrne (women’s art inspired footwear) and All Black (women’s fashion footwear), SHOLDIT (innovative travel scarves), Cheryl Eve Acosta (fine art jewelry), Gallery Indonesia (jewelry, handbags, and other accessories from Indonesian artisans), Virginia Stone (luxury skincare), and TRADE by Gina La Morte (handbags for a cause). TRADE by Gina La Morte are on a mission to end the enslavement and human trafficking of women & children. A portion of all proceeds go towards organizations and initiatives that support this incredible cause. 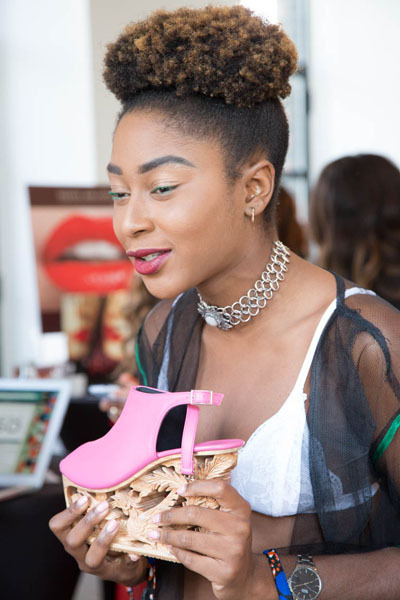 Guests were also treated to pampering & touch-up’s by Ecru New York, who were on-site to share their latest hair & cosmetic products and debut their new lip color line.